Dec. 1994, Malwatu Maha Vihara Vishrama Shala Sadhaka Trust was established in Sri Lanka and Dr. Ito was inaugurated as Vice-President of the Trust. Dr. Ito established Malwatu Maha Vihara Vishrama Shala Sadhaka Trust Japan Branch. Oct. 1994, Dr. Ito received permanent permission of the usage of the personal and official emblem of Most Venerable Vipassi Thero, Mahanayaka Maha Thero, “Horin” (Dhamma Chakraya) hence, the name of the organization had been changed to ASCA Horin Overseas Cultural Exchange. 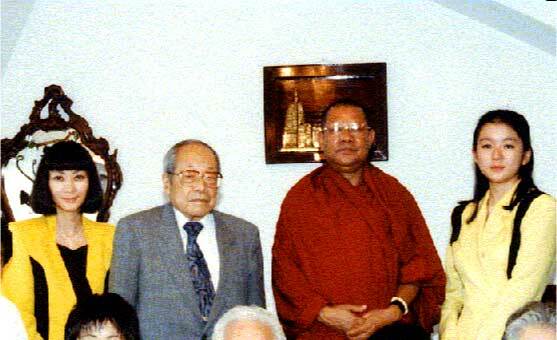 Sept. 1994, Dr. Ito awarded the honorary title of Doctor of Philosophy from the Sanskrit University. Discussions included the former President of India, H.E. Dr. S.D. Sharma.